Fr. 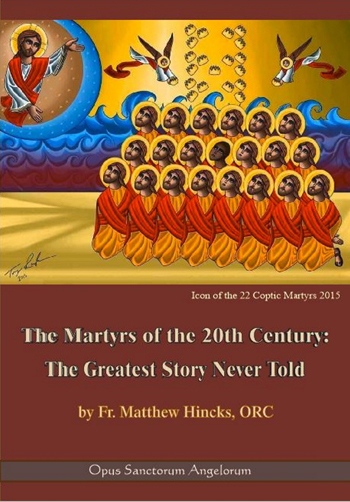 Matthew Hincks, ORC:In the 20 centuries of the Church's history, more than 40 million Christians have been martyred for the faith, two-thirds of them in the 20th Century. Martyrdom is an ever present reality and ongoing possibility for many Christians. Therefore, we want to understand this threat and face it in the light of faith.